We are a happy family living on the sunny side of the Big Island of Hawai'i. We open our hearts and home to kind people who would like to experience the way of life here while lending a helping hand. We love the Ocean! We enjoy surfing, body boarding, swimming, stand up paddling, skating, yoga, dance, travel, adventures and fun! We have two children: Isaiah--an amazing 13 year old boy and Taira--a delightful 10 year old girl. Visitors here learn to slow down and appreciate island life here on Hawai'i Island. There are many adventures to be had here, valleys to be explored and rich culture to experience. Hawai'i is a mixed plate of various cultures, especially Japanese, Philipino, Portugese and Hawaiian. Travelers here often explore National Volcano Park and its many offerings and may be lucky enough to experience fresh lava flowing. There are often beautiful hula performances to watch and lots of local flavors to be tasted in various avocado, ulu (breadfruit) and mango festivals. Travelers can learn to surf or stand up paddle and experience the magnificence and diversity of both mountain and ocean cultures here. 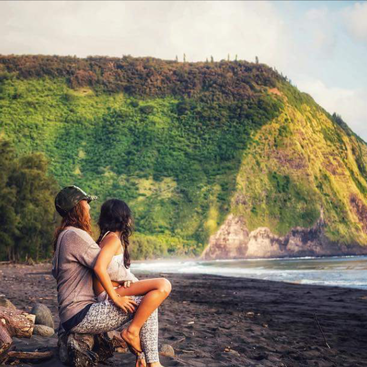 A large part of the cultural exchange available here is a personal experience of Ohana, connection to the Aina and a deeper understanding of Living Aloha. Aloha~ For this mutually beneficial exchange we request approximately 20 25 hours of work per week, per person. We are looking for people to help with meals, gardening, landscaping and construction. We deeply appreciate people interested in visiting and helping our family and we truly enjoy sharing the beauty and bounty of Hawai'i. Our primary request is help in our kitchen preparing family dinners on weekdays and attending to general kitchen cleaning and maintenance weekly. 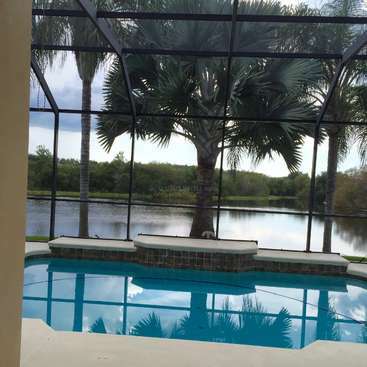 We are most interested in hosting a happy couple who loves to work and travel together. We are looking for people who would very much enjoy preparing nourishing whole food meals for a family. We are not an entirely vegan household but we would like weekly meals to be vegan. We welcome traditional meals from your hometowns as well. We request five healthy dinners prepared weekly; including meal planning, shopping, clean up and general kitchen maintenance. We prefer to eat organic and local whole foods as much as possible. We prefer our grains and beans to be soaked. We welcome supplementary preparation of living foods also; juicing, sprouting, growing micro greens, making energy balls, etc. Familiarity with fermented foods is a plus. We have many cookbooks and resources available. We have an Instant Pot, a second pressure cooker, a slow cooker, a Vitamix machine, a dehydrator, a Spiralizer, a Green Star dual auger juicer, an immersion blender and a food processor to help. We are a busy family that thrives with nutritional support and nourishment. At this time, it would be most helpful for a couple to come share the experience together and we will favor applications from couples. It is more beneficial to have two individuals helping our family. 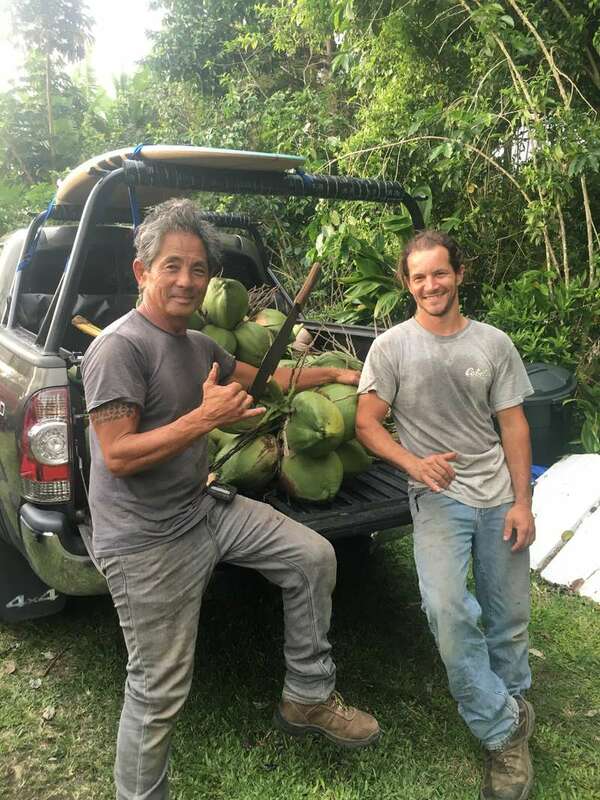 We would really like to have one person primarily attend to the food prep and kitchen while the partner works outdoors on our property, connecting with the aina (the land) so that it may provide for our family and community. This is incredibly helpful and time consuming! Hawai'i is lush and our one acre requires hard work and dedicated maintenance. 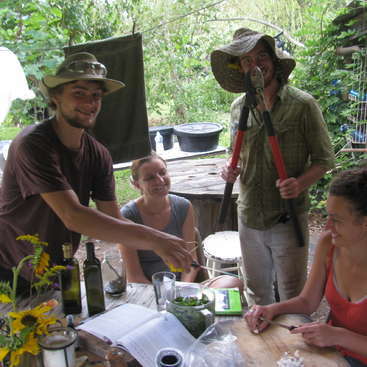 We are growing gardens and we are looking for individuals already skilled in permaculture, natural farming and organic gardening to share and apply their knowledge. We are also interested in people who have building, carpentry and painting skills to offer. There will be plenty of downtime and weekends off for relaxing and exploring this amazing Big Island we call home. We live in Captain Cook overlooking gorgeous and historic Kealakekua Bay, convenient to stores, parks and beaches. Our home is 20 minutes south of Kailua-Kona at a nice, cool elevation on the slopes of Mauna Loa. The closest beach is about a ten minute drive away. We offer a guest room and bathroom with a tub and shower on the lower level of our house that is accessible through private entry. We also have an outdoor shower with a stunning view of the ocean. We have a vehicle available for your personal use and grocery shopping. Gas money is not included. We provide stand up paddle boards and surfboards. Kayak, learn to surf, snorkel, swim with manta rays and body board if you are interested. You may also encounter our wild spinner dolphins and visiting humpback whales. 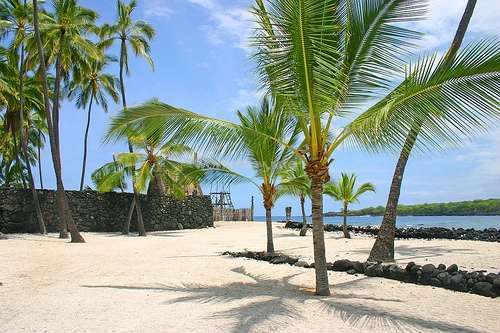 Come experience the vast and diverse beauty of the sunny Kona side of the Big Island. The meals offered are mostly vegan. We are not an entirely vegan household. 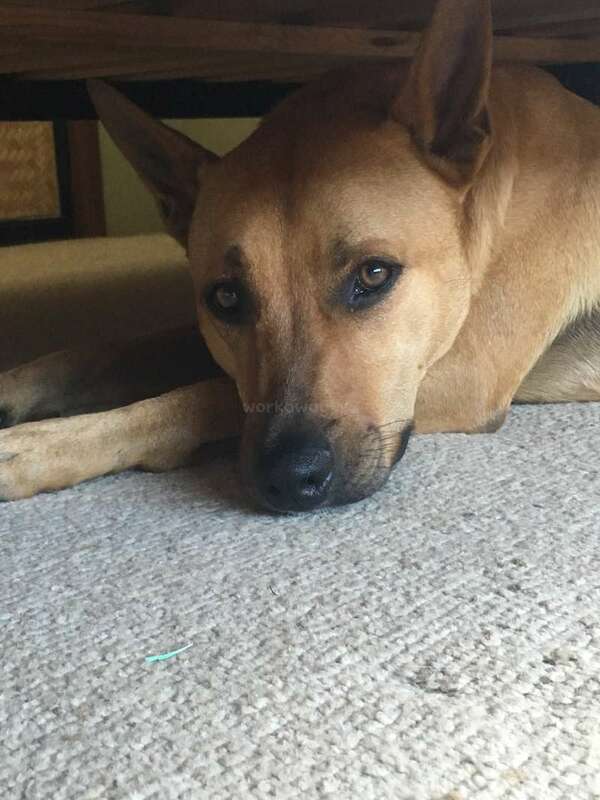 We have a sweet, energetic mid-sized, mixed breed, male dog named Mauka living in the house with us. We also have a volunteer cat named Tiki that lives in the lower level of the house. If you have cat allergies, be aware that the cat has often been invited into the workaway bedroom. We prefer month long commitments and are open to longer stays if everyone is agreeable. We also appreciate the freedom to review our arrangement after a couple of weeks to make sure that all parties are happy. There are many other potential workaways and organic garden exchanges all around the Big Island if our fit is not ideal and expectations are not met. We are seeking a conscious and loving person or couple, drama free and no tobacco use please. Finally, please note that our response rate is quite low. We are inundated with requests and find it challenging to keep up with responses with our very full schedules. We do our best to get back to everyone, but it's not always in the most timely manner. Thanks for understanding. 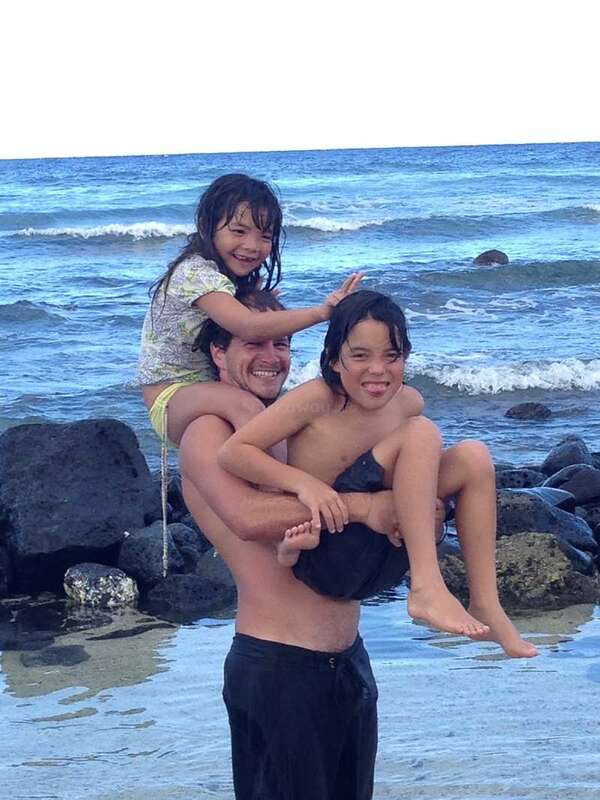 I had the most incredible time staying in Hawaii with the family. 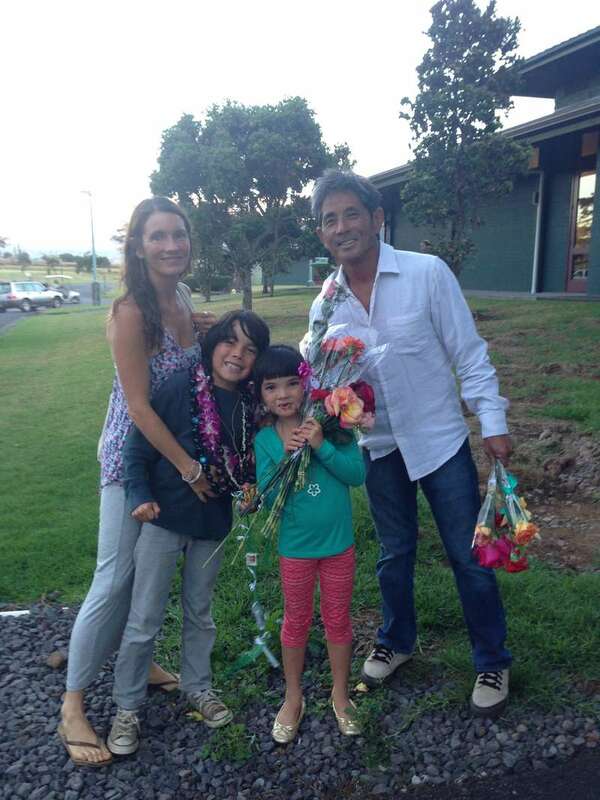 This family is so special, generous, kind, welcoming, and their home overflows with love and the Aloha spirit. The six weeks I spent in Hawaii this past summer were the best of my life. I swam with dolphins, snorkled with manta rays at night, camped on the beach, learned to surf… read more (and got a little too comfortable with some wana :D ), and so much more. Most of all I felt such a connection with the aina and to the kind, beautiful people I met while on the island. I will never forget my time in Captain Cook and I am beyond grateful that I was able to come to this family in this incredible place. My time in Hawaii was such an incredible blessing. The accomodations were great and the work was very fair. Victoria checked in with me throughout my time with the family to make sure that I felt good about the amount of work I was doing. 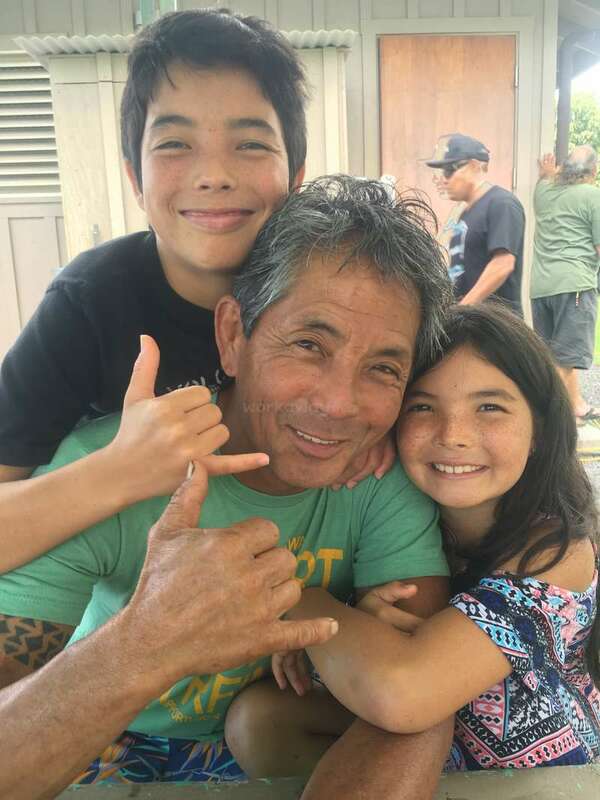 The kids, Taira and Isaiah, are incredible, talented, and welcoming- spending time with these kids was one of the best things about my time on the Big Island. I still think about my time in Hawaii all the time and feel the Aloha Spirit with me still, I can not say enough good things about this exchange. Staying with the family was kind of like a dream. 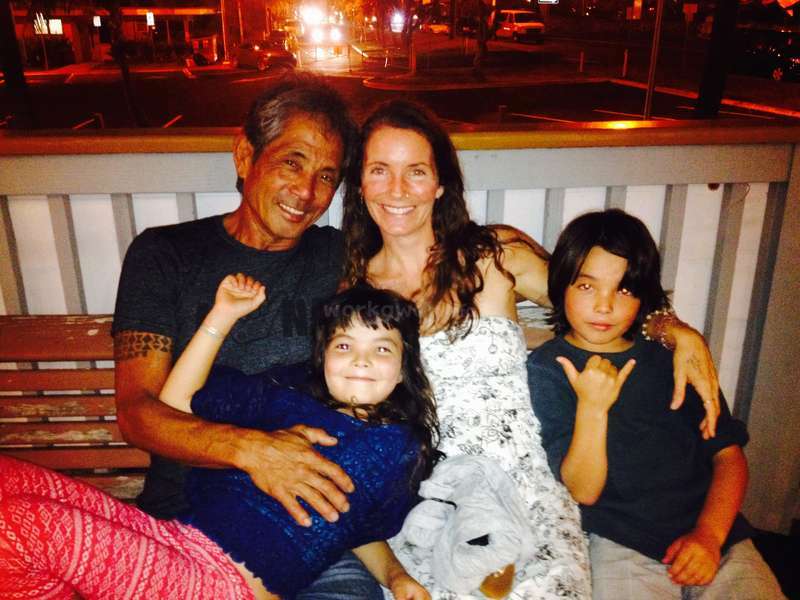 I still can’t believe some of the things I was blessed to experience during my stay... swimming with dolphins.. family surf adventures... but mostly being totally welcomed into one of the sweetest families with so much ALOHA spirit it actually blew my mind! Cooking for them was totally fun! Taira… read more and Isaiah are awesome sweet kids so creative and talented, Isaiah shreds surfing and watch out for his magic tricks! Taira is going to be a star and an amazing artist! Brenden and Leilani, the landscapers became my close friends fast, they don’t come sweeter or more fun! AJ is rad thanks for letting me use your guitar and sharing beer, Vicky is super lovely and caring and a rad mom, thanks for always slicing up fruit for me and making extra coffee and being so welcoming, and well Sid is the mayor of Hawaii. If any of you are ever in LA you better call me! Thank you so much. I initially came for a month and ended up staying for a few more. I wish I stayed longer but I had to go back home to take care of some stuff. You are very lucky if you get a chance to stay with them. One of the best places I have ever stayed at in my whole life as well as one of the best people I have ever met. We still stay in touch and even met in Los Angeles. Seeing them and hugging Taira again melted my heart completely. Trully truly beautiful place, people and experience that I highly recommend to everyone. I wish I can come back one day. Lots of love!!!!!!!!!!!!! P.S. I put 5 stars but these guys deserve all 10 stars!!! I kept a journal during my stay -- and so glad -- as it is a reminder of the rich, rewarding experiences I had due to their huge, huge hearts! Foodies will love the abundance of unique and interesting cookbooks. Renee and Ronald are a a dynamic duo. 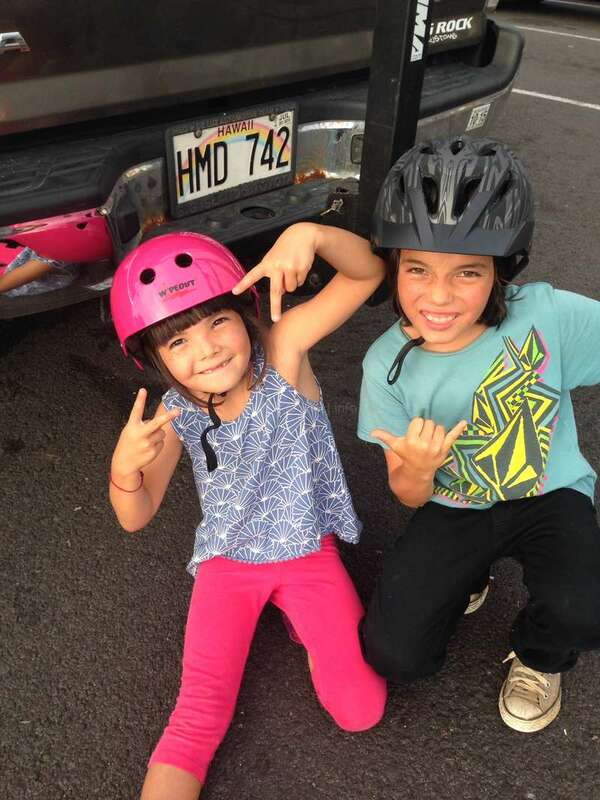 They were such a blessing in our home in Hawai'i. They were cheerful and bright, always positive and devoted to our time and work together. They were thoughtful and considerate and communicated well with us. They were organized and efficient in all ways and went to great lengths to prepare amazing meals for… read more us. They shared so much of their culture and their ways with us and were eager to absorb our ways and learn about and experience how life is lived in the Hawaiian Islands. Renee and Ronald were adventurous and made the most of their time here with us and in our town. They honored our exchange sweetly and were always willing to lend a hand. We enjoyed our time with them immensely and trust that anyone lucky enough to work and live with them would feel the same. This is the most generous family we have ever met! They are friendly and thoughtful. We felt lucky to be a part of this family for 2 months. We enjoying cooking for them. It was nice to discover new recipes as well as showing them new dishes. The kids are not always into new dishes and prefer plain simple meals. So we tried to find a way to… read more satisfy them (with kids-recipies or some separate dishes) and the parents (with new recipies). When someting went terribly wrong with a dish (curry got sour), Victoria responded so sweet and relaxed, it was not a problem. Victoria and AJ are great host! The family gives a lot, so we tried to return the favour by always doing out best in the kitchen and keeping it clean. It was a great workaway experience (our first) in which we could work and discover the island. Thank you so much for letting us into your lives Victoria, AJ, Isaiah, Taira, Syd and Jenny! Who knows we can ever return the favour when the kids grow up and want to explore the Netherlands! Keep in touch! I am grateful for their help and had a good time in paradise with those incredibly generous people! Wow Jaime!! I hadn't read this until just now and you have Sid and I both crying! LOVE you Girl! You are family for good and are ALWAYS welcome in our home. Aloha Sister xoxoxox xoxoxoxoxox xoxoxo Miss you! Thanks for the awesome suggestions for future help. You are so amazing with a spirit that soars! Keep in touch! Incredible! I honestly have never met a more trusting, loving, caring, thoughtful family, let alone through any type of work situation. I learned so much while staying with the family, especially family dynamics. Sitting back and soaking up the love, conversation and experience was a priceless gift that I can never repay! In short, they set an… read more example of how life should be. The living quarters for you are phenomenal! You won't be disappointed. Sidney is the hardest working yet most positive, happy and helpful family man…possibly in the entire world. No joke! Do the dishes as you cook so he doesn't jump up and do them first. Vikki, what can I say. 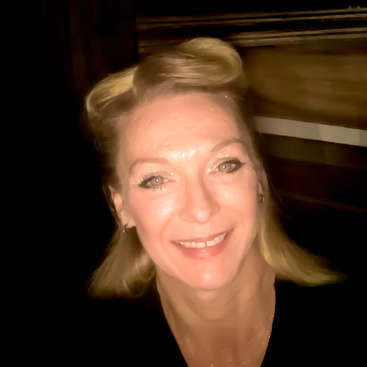 She's either the beautiful fun loving mom/partner that you want or want to be. Love you sis! mIss you guys. Aloha. If you are blessed enough to welcome this couple into your home, you will be gaining family. Teodora and Hunor are exceptional people that put their hearts and souls into everything they do. They stayed with our family for 3 months in Hawai'i. They came to help with cooking and childcare and did SO much more. They took on many other… read more house and garden projects and did so with great attention, creativity and care. They were respectful, responsible, clean, courteous, friendly, available, diligent, hard working, grateful and always went above and beyond what was asked of them. They cooked delicious food for us and played with our children in such beautiful ways. Teodora spent much time teaching our son Japanese and did art projects with both children. Our family was enriched by their loving presence, so much so that we never wanted to do anything without them! They would be an asset to any household and become treasured life friends. We are truly grateful to know them and grateful for workaway for bringing us together. We only ask if you welcome them in you treat them as family. We wanted them to stay forever. Those lucky enough to have them won't want them to ever leave either! Our first workaway experience couldn't have been more wonderful. Amazing people, open to life, caring for people, loving nature, the ocean and good music. It was a blessing to get to know them and an honor to spend time with them! I stayed with the family about 5 weeks and every day was amazing. They are so welcoming, lovely and just everything you could possibly wish for. I can only agree with everything that was already written - I was directly part of the family and can't thank them enough for the wonderful experience! I came to this place trough a wired way of happenings:) But at least it was one of the BEST experience on my round the world trip. This family is so lovely and I felt straight away the spirit of Aloha. Thanks a lot for give me a place to stay, work, live and learn! I hope our path will cross again! A warm and welcoming family! Generous and trusting. Thank you so much for opening your home and your hearts. It was a beautiful time. Generous, awesome and cool. Felt really lucky to have found such great people. Thank you for everything! Such a kind and loving family. We felt very welcome and had a fantastic experience. And we really miss them! 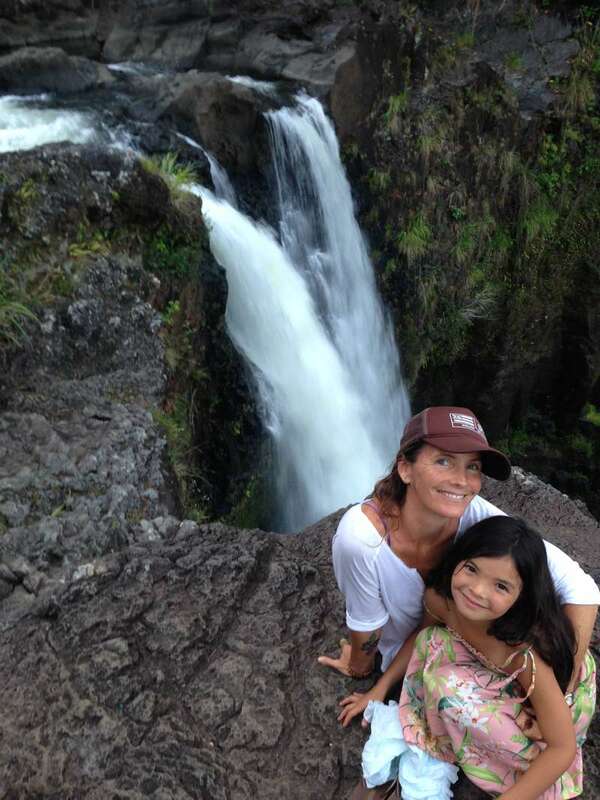 Cannot say enough good things about our experience on the Big Island with this lovely family. Working with the kids was a joy and the family made us feel right at home. lovely couple and awesome kids! !the stiuation is perfect, and the facilities too. I consider them like good friends, this resume everything. 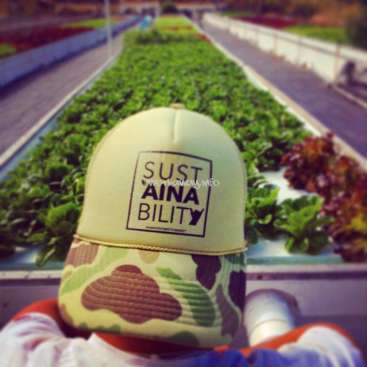 Aloha, my name is Liesel and I am a fan of aquaponics. 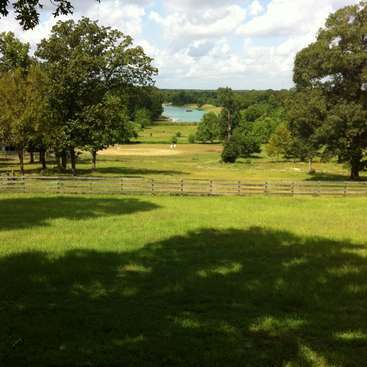 I live at our farm with my partner and our many animal friends.